Make sure your drapes are flame retardant!!! I couldn’t tell you the horror stories I’ve heard of fire Marshalls shutting down a wedding or special event due to the drapes not being flame certified. Most hotels and venues have fire Marshalls who come every day to make sure exit signs are exposed and drapes are certified. IFR – Inherently Flame Retardant (most common). This means the fabrics meets the fire code standards and requires no additional treatment after repeated washings. This means the fabrics meets the fire code standards and requires additional treatment after repeated washings. NFR – Non Flame Retardant. This means the fabric does not meet the fire code standards. DFR – Durably Flame Retardant. Most public spaces require all fabrics to pass the NFPA 701 standards. NFPA 701. If the average ( drip burn ) breaking away from the fabric is more than 2 seconds then it passes the test. At drapeworks we provide all of our flame certificates to our venues, planners, production companies before every install. If your inquiring for drapes please make sure you draping company can provide you the right flame certificate and to take it a step forward go to there warehouse or showroom to touch and see there drapes and proof of there flame certificates. 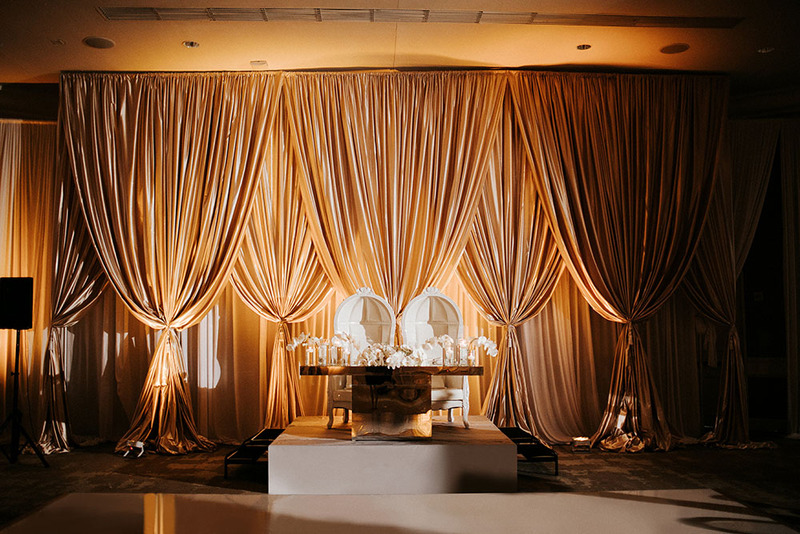 Be very selective when choosing a draping vendor. submit a message via online.